My first Ebay wishlist! I actually forgot how many amazing things you can find on ebay for such ridiculously cheap prices! 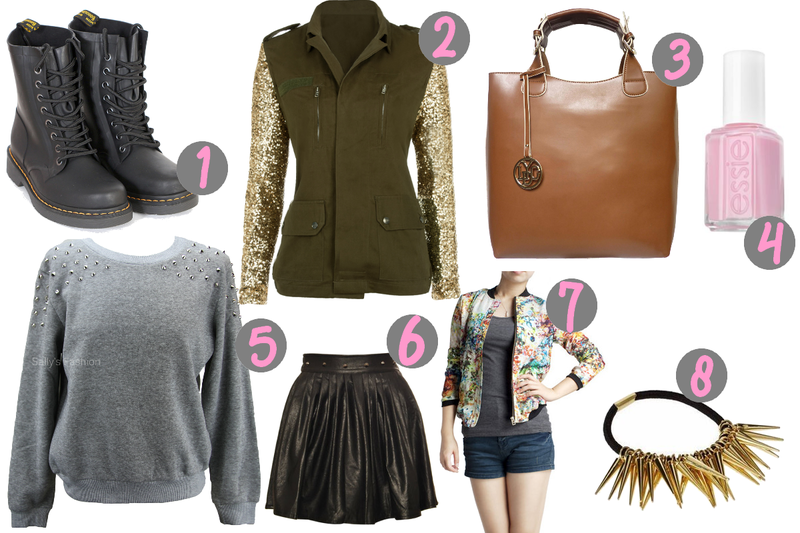 My favourites out of this wishlist have got to be the doc martens, the sparkly jacket and the bag! I’ve wanted a pair of docs for ages but I don’t know if they’ll end up looking gothic or really big on me.. but I suppose this winter weather has made me want them that little bit more! The sparkly jacket is just so gorgeous and out there and I think it would go with a lot, and the bag is another thing I’ve been wanting for a while but there’s no point in buying it because the handle would get on my nerves and I mainly use bags for school! What are your favourite Ebay sellers? Comment below! P.S. I bought my Prom dress last night.. I’m SO excited! Can I get a woop woop? !